Mark R. Rosenzweig is the Frank Altschul Professor of International Economics in the Department of Economics and the Director of the Economic Growth Center at Yale University. Professor Rosenzweig received his Ph.D. in economics from Columbia University in 1973. Prior to moving to Yale in 2005, he was the Mohamed Kamal Professor of Public Policy at the John F. Kennedy School of Government, Harvard University and Director of The Center for International Development. Professor Rosenzweig has written extensively on issues in economic development, human capital, migration and demography. He has edited two Handbooks of Economics, The Handbook of Population and Family Economics, with Oded Stark (Elsevier, 1996), and the Handbook of Development Economics, Volume 5, with Dani Rodrik (Elsevier, 2010). He has also co-authored a book on US Immigration, The New Chosen People: Immigrants in the United States, with Guillermina Jasso (Russel Sage, 1990). He has published over 100 articles in books and scholarly journals, including the American Economic Review, the Journal of Political Economy, Econometrica, the Review of Economic Studies, and the Quarterly Journal of Economics. His professional honors include citations in Who's Who in the World, Who’s Who in America, Who’s Who in Economics, and research grants, including those from the National Science Foundation and the National Institutes of Health. Professor Rosenzweig was elected a fellow of the Econometric Society in 1994 and a fellow of the Society of Labor Economists in 2009. 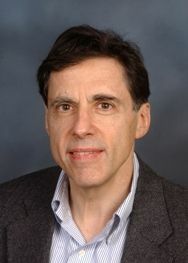 Professor Rosenzweig was Editor-in-Chief of the Journal of Development Economics (2005- 2009), and has been on the editorial boards of the Journal of Economic Literature and the Review of Economics and Statistics and a member of the National Academy of Sciences Committee on the Human Dimensions of Global Change (1998-2004) and the Panel on New Research on Population and The Environment (2003-2004) and a member of the External Advisory Panel, International Monetary Fund (2004-2007). Professor Rosenzweig is currently co-Principal Investigator of the New Immigrant Survey, the first and only representative panel survey of legal immigrants in the United States. He has published extensively on immigration using data from the survey, including as a coauthor of an article on legal and illegal immigrants that won the Distinguished Contribution to Scholarship in Population from the Population Section of the American Sociological Association in 2009. Mark Rosenzweig joined CReAM as an external fellow in April 2011.